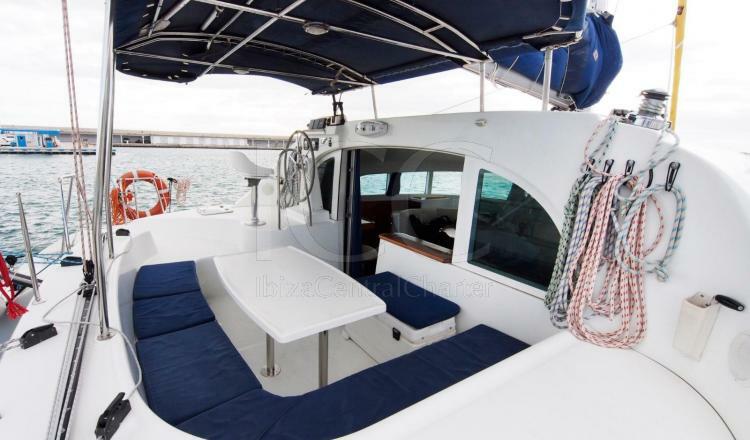 Lagoon 380 with 4 cabins in Ibiza. 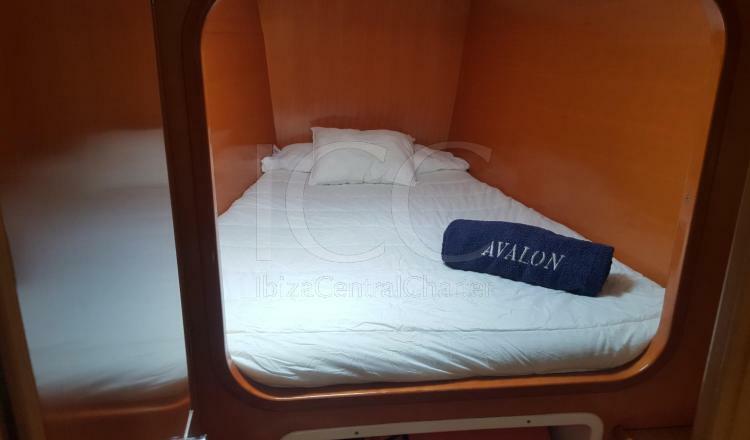 The Lagoon 380 is the perfect catamaran to spend an unforgettable family holiday by the crystal clear waters of the islands of Ibiza and Formentera. 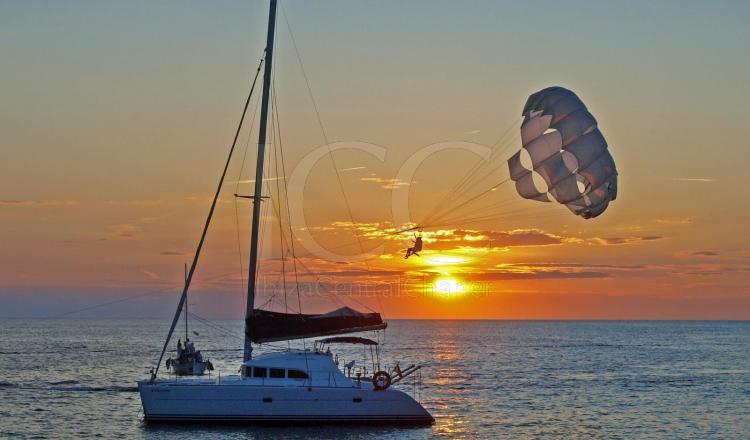 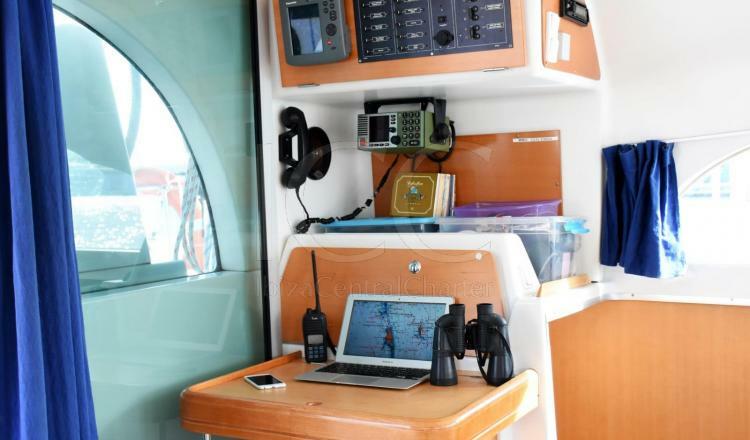 This catamaran of 12 meters in length is ideal to be rocked in the sea. 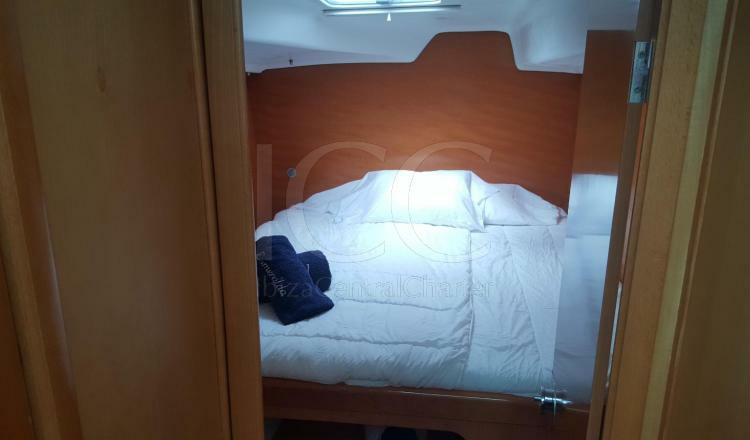 It has a capacity for 11 people plus the employer. 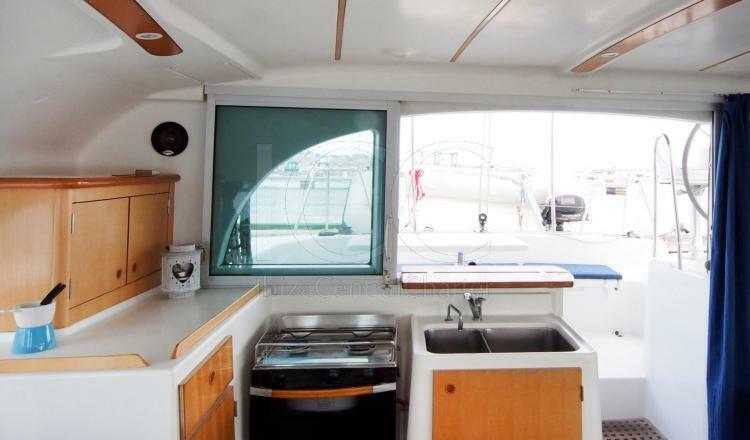 It has four cabins plus two rabbit hutches in the bow and two full bathrooms. 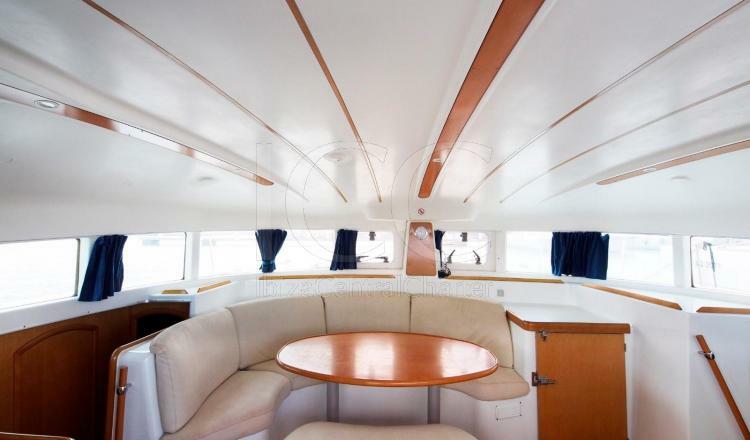 It has a spacious living room and a fully equipped kitchen being the oven, refrigerator and sink some of the amenities offered on board. 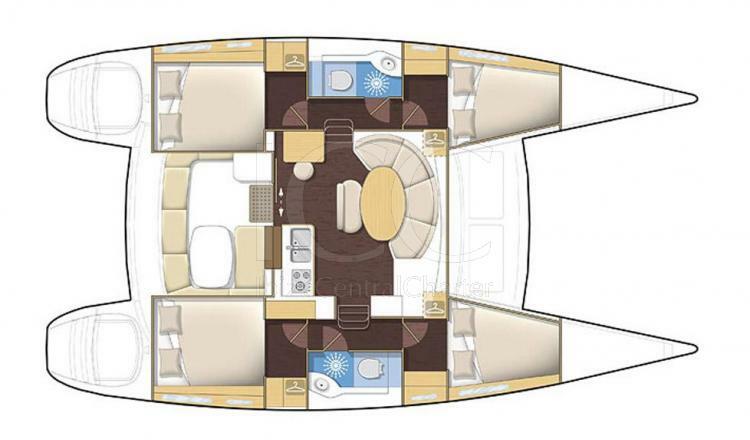 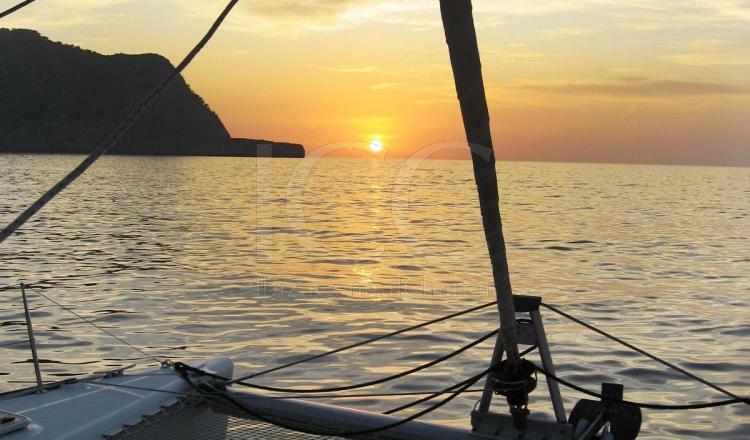 In the bow there is a wide network that becomes the favorite solarium area of ​​this catamaran. 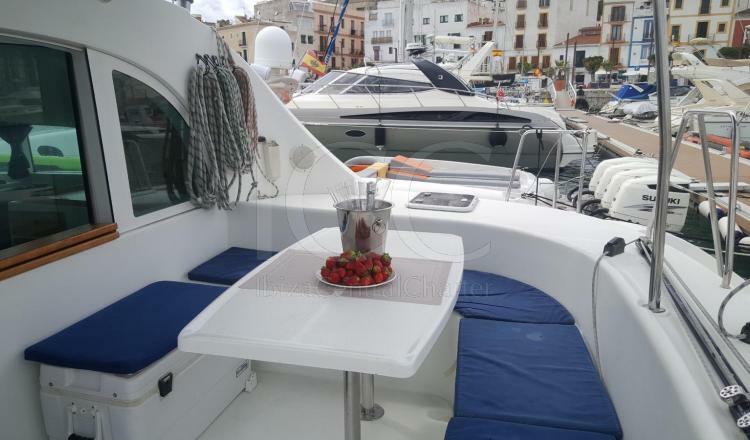 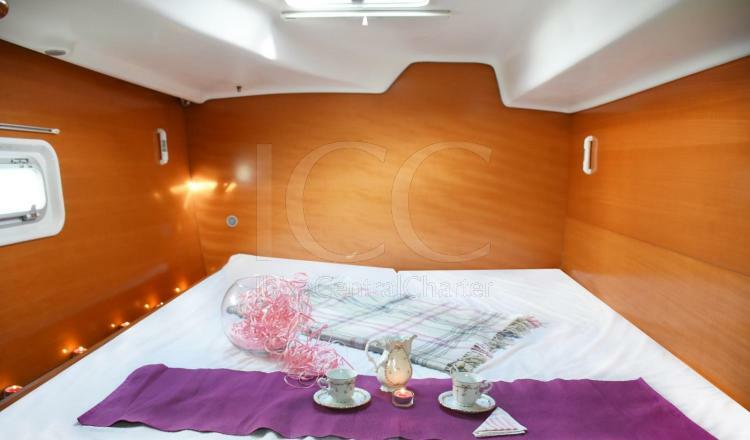 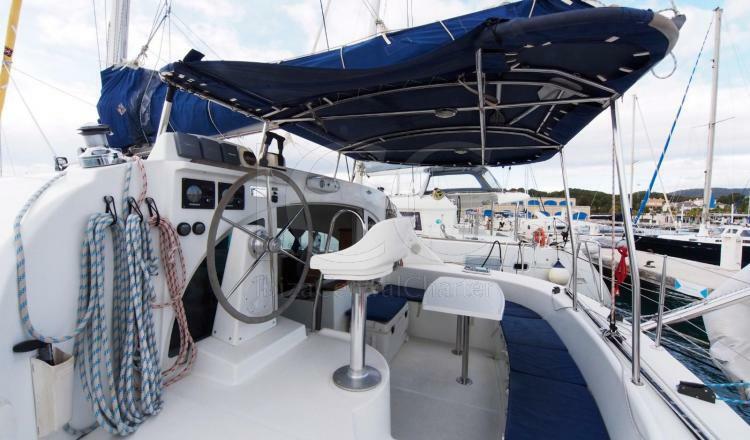 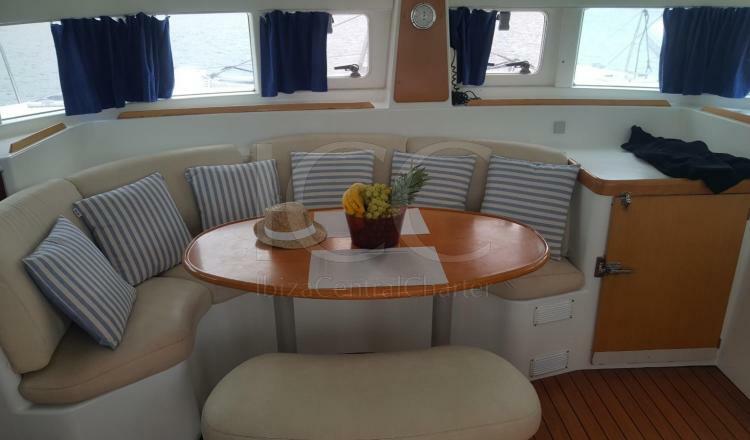 At the stern is a living room with sofas and a table covered by a bimini awning made of the perfect space to relax, have a drink in the fresh air and protect yourself from the sun. 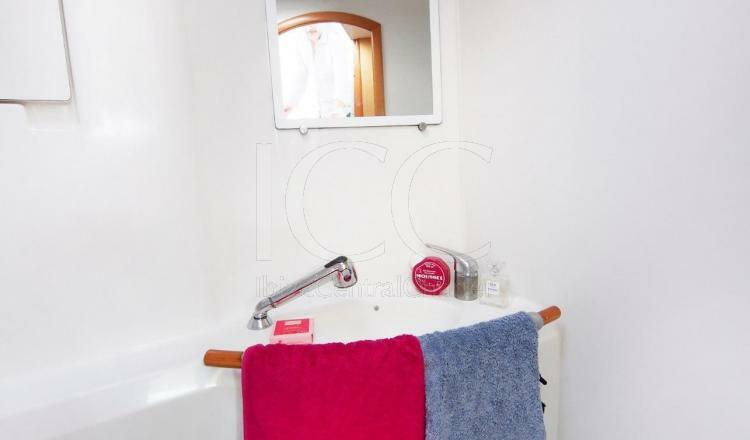 Two bathing ladders and a shower are also found aft. 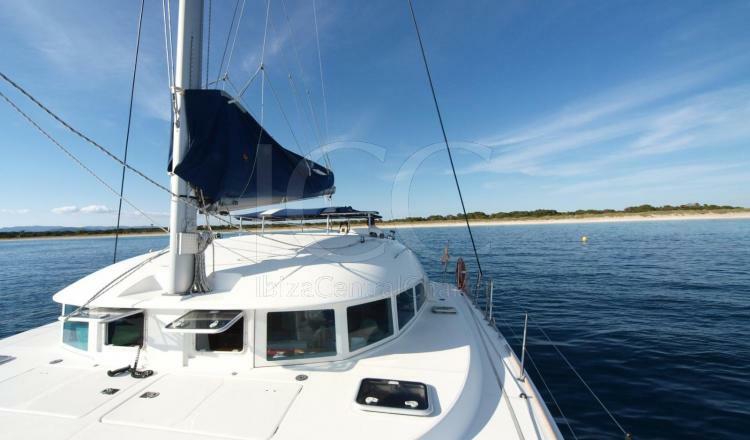 Undoubtedly, this catamaran will make you discover the islands of Ibiza and Formentera from another perspective.